Very enjoyable evening, should have taken a warmer coat. Was recommended to pre-purchase drinks vouchers, implied that no cash was taken on board, this wasn't so. The drinks that we had cost us more in vouchers than it would have done if we had paid on board. Great Food and Music, eat to much though ! Buy tokens at the ticket counter if you want Alcohol or Soft Drinks. Had a great time with the family celebrating my 70th birthday. Staff were very good. Would recommend this experience highly and fully intend to do it again next time I am in Brisbane. On the night we could not use the top deck as they had a private party booked which meant this did not give us much room to move around. Food was excellent but could have done with more entertainment as we only had one person singing and no room to dance. 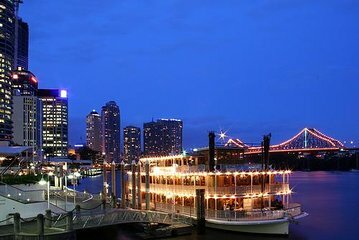 The cruise on the Brisbane River was just beautiful. The meal was excellent and the views of Brisbane at night were spectacular. Would definitely recommend and will be going again! so the boa twasn't what we wanted. It was the experience of the Paddle Steamer. The food was amazing. the place was crowded which is a good thing, but they should've opened up the second floor, because the tables are rather close to each other. Thoroughly enjoyed the cruise - met new people and the staff were really great and also very discreet. The food was average and perhaps could be a little better, however great fun. Nice evening however not how the trip was originally advertised. 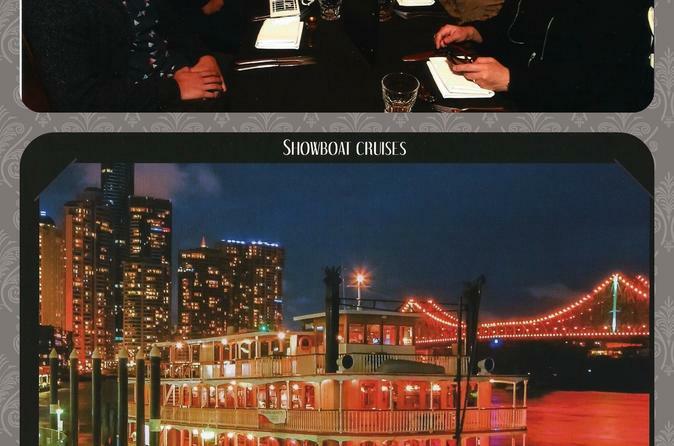 We were sold a 3 course dinner with live jazz band entertainment while cruising the river. However we were greeted with a dinner buffet and karaoke cabaret style singer. Management had changed since booking. Disappointing.